Whether you've just bagged yourself an Android Wear 2.0-packing watch like the LG Watch Sport or you're thinking about picking up an older Android Wear 1.0 smartwatch, you could be forgiven for wondering how to use it. The tiny screens and complex features of the best smartwatches mean they can take some getting used to, which is why we've compiled our list of top tips and tricks for finding your way around Android Wear. We've broken things up to separate the Wear 2.0 tips and tricks (up top) from those handy hints for those still rocking an older version of Google's smartwatch operating system. Like the Apple Watch, Android Wear 2.0 lets you set up a bunch of customised faces and then switch between them. Maybe you like a sporty face that shows your stats, but a more classic look for going out. Customise a few to your liking, then just switch between them by swiping left and right across the screen. Super easy. If you've got a lot of apps on your watch, it can be a pain scrolling through the list to find them all. But if you have a few go-tos, go to the app drawer and pin them to the top of the menu by simply holding a finger down on the icon for a second. It will then move to the top of the list and get a small star icon to indicate it's 'favourited'. The LG Watch Sport and LG Urbane LTE offer a cellular connection, meaning you can make and take calls from the wrist. Ideally, you don't want to get a second phone number, but some networks including AT&T let you share the same number on your phone. If you do get a watch with LTE (and there will surely be more to come) it's worth checking if number sharing is an option. Android Wear 2.0 gives your smartwatch a lot more standalone functionality, but to make the most of this you'll want to give it some sort of connection. As soon as you set up your new smartwatch, make sure (assuming it supports it) you get it hooked up directly to your Wi-Fi, meaning you'll be able to browse the Play Store and use features like Google Assistant whether or not your phone is nearby and working. If you didn't do it on the phone during setup, you can connect to Wi-Fi from the watch by going to Settings > Connectivity > Wi-Fi. Wear 2.0 opens up the ability to configure the buttons on your watch, letting you create shortcuts to your most-loved features. Head into Settings > Personalisation > Customise hardware buttons to choose what you want them to do. If you plan on using Android Pay, we recommend dedicating at least one button to that for convenience. Typing on a smartwatch screen keyboard isn't ideal, but it's actually not too bad on Android Wear. However to make life a bit easier, we recommend playing with the configurations a bit. Go into Settings > Personalisation > Input methods and then tap on Google Keyboard. Here you'll have access to a selection of preferences, but it's the ones under Text Correction that you'll find most handy. You can toggle auto-correction, auto capitalisation, next-word suggestions and other options to make typing on your smartwatch a bit easier. Google's answer to Alexa and Siri can become a whole lot more useful once you've fiddled around with some of the settings inside the Android Wear app. Aside from asking about your agenda or launching apps, you can also use Assistant to take control of your smart home devices. Head to the Android Wear app and tap the Settings cog icon. Scroll down and select Settings under Assistant and you'll see the option to set up control for supported devices and create rooms so you can tell your watch to turn on the lights in the bathroom or in the hallway. While Google's card-based personal assistant has essentially evolved into Assistant, it still exists through Your Feed. This native app still pulls in recent search history pulling in relevant information whether that's sports score or weather updates. You can find Your Feed nestled at the bottom of the app drawer. You're in a movie theater having a great time, laughing and crying and whatnot. But then you get too excited, you move your arm and your watch lights up like a Christmas tree. Shame on you - just turn on Theater Mode. To do so, swipe down to get to quick settings, then tap on the brightness icon. You'll see options to increase and decrease brightness, but you'll also see a square with a diagonal line across it. Tap that and activate Theater Mode, which will deactivate your screen. To turn off the mode, just press the power button. Tired of typing on a tiny watch screen? It's better to scribble things out. You'll get to use your finger to draw out letters that turn into words, and what's pretty cool is the screen will automatically scroll right to left to give you more space to scribble more letters. If you don't have an LG Watch Sport, you can download the keyboard from the Play Store. You may have to switch between the regular keyboard and the handwriting keyboard, however. Before you begin typing, you'll be presented with an input choice: do you want to use voice control or the keyboard? Long press the keyboard logo and you can switch to the handwriting keyboard. Wearable payments is one of the strongest arguments for wearable devices. It's just so much more convenient tapping your wrist to a scanner than getting out your phone or wallet. Plus, it saves the people behind you in line a lot of time. To set up Android Pay, you'll have to download the app on your phone and set it up there first. Once you do that, head to the Android Pay app on your watch and opt to set up a new card. This'll boot you back to your phone, which will have you choose a card, agree to some terms and verify your account. Once that's all taken care of, you can usually set up one of the side buttons on watches like the LG Watch Sport to be an Android Pay button. Then it's all easy peasy. Tap that button, and then tap your wrist to pay. If you're still running Android Wear 1.x, these tips are for you. Head to the Android Wear app on your phone to see how much battery life and storage space is left on your watch - tap the cog icon on the front page, then select the name of your timepiece and you'll see Watch battery and Watch storage menu options. You can also see which apps are draining battery juice and taking up space on the watch. The same menu lets you enable or disable the always-on and tilt-to-wake features (where the watch's display automatically turns on when you lift it towards you). To quickly check the remaining battery life on the watch itself, drag down from the top on the main watch face. The date, Wi-Fi status and current notification mode is displayed too. One of the reasons for getting hold of an Android Wear smartwatch is so you can access certain features, hands-free, without pulling out your phone, and one of those features is Google Assistant. With the smartwatch screen active, say "OK Google" at your device then speak out your question or command: try "define" then any word, or "play" then any song, or "text" then any of your contacts. Through the Android Wear app you can set the default apps for some of these commands. We'd like to draw your attention to a fantastic web service called IFTTT (If This Then That), which lets you connect all kinds of apps and services together. Fortunately for our purposes, it features an Android Wear trigger. That means you can use any IFTTT 'action' to create a notification on your wrist: when your phone's battery is below 15 percent, or when bad weather's incoming, or when your favourite YouTuber uploads a video. It's free to sign up for and use IFTTT so have a play around with the applets available. Swiped away a notification you didn't mean to get rid of? Swipe down from the top of the screen immediately afterwards and you'll notice a Dismissing... countdown. Simply tap the undo icon and the card reappears on the watch display in its previous position. It's a handy feature to have if you're trying to quickly clear your screen of a pile of unimportant notifications and inadvertently get rid of an urgent email or text that you want to check up on again (in some cases the alert will still be on your phone as well). If you delve into the list of built-in apps for Android Wear you'll notice a Reminders one in there — and having reminders on your wrist is even more convenient than having them in your pocket. Tap on the plus icon to set reminders and Android Wear guides you through the process of setting up a memory jogger, complete with time and location if required. No one's a bigger fan of Android Wear than the members of the Wareable team, but even we have to admit that smart home support for the platform is severely lacking. There are virtually no official apps for the big names, like Philips Hue, and not much in the way of third-party solutions either. One exception is WrisTemp, which lets you control your smart thermostat from your Google-powered wrist device. It works well enough, while you're waiting for the big companies to get their collective acts together. Thanks to an early Android Wear update you can install watch faces straight from Google Play rather than relying on the ones pre-installed on your device. Install them from the web or your the Play Store app and they're automatically available on your watch too. Another feature is the ability to view, manage and change watch faces from within the Android Wear app on your mobile device, as well as on the watch itself. On the watch, tap and hold on the watch face to change its skin or configure the one that's already loaded. If you're really adventurous, you can design some Android Wear faces of your own. You can store audio tracks on your watch and listen to them even when your phone is out of range, which is great for the morning jog — you just need to make sure you sync up the tracks you want in advance. For the time being this offline feature only works with Google's own Play Music app. Open the app on your phone, head to the Settings screen and you'll notice a new Download to Android Wear option - enable this to start syncing songs over to your smartwatch. Tap the Manage Wear downloads entry to choose which of your playlists are synced. If you've saved a ton of tunes to your phone you don't necessarily want them all on your watch's limited storage space too. If your phone has disappeared under a pile of clothes or boxes and hasn't been seen for hours, then you can use Android Wear to find it. Open up the app list by pressing your watch's physical button or by swiping left on the main watch face screen, then select Find my phone. After a few seconds, a command is sent to your handset that starts it off. Helpfully, it works even if your phone is muted or in 'do not disturb' mode. Google Fit has become gradually more and more noticeable in Android Wear, and one of the entries you now get on the OS apps menu is Fit Activity. Tap this and not only can you launch tracking of activities like walking and running, you can also get instructions for simple exercises like press-ups and sit-ups. 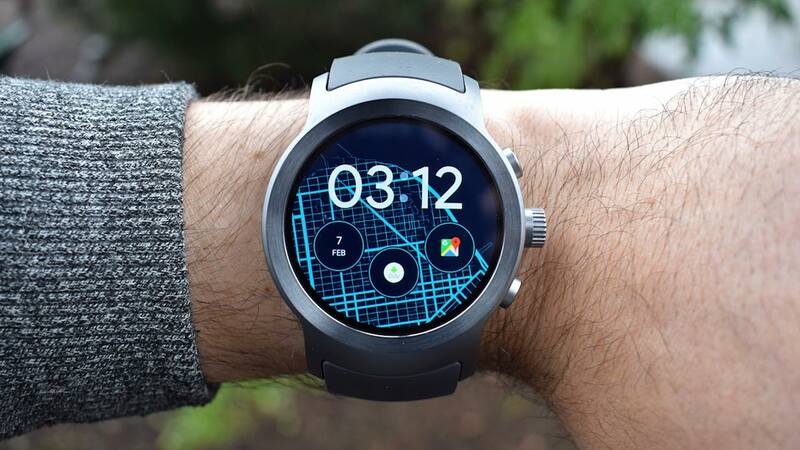 There are even a couple of Google Fit watch faces that you should find on your Android Wear smartwatch of choice, both of which will show you your steps and other daily activities at a glance, right on the watchface. Take control of the types of notifications you see on your watch via the Android Wear app: if you go to the Settings screen (via the cog icon) and choose Block app notifications, you can then pick the apps you don't want to hear from. On the watch itself, swipe from right to left on an alert until you see the Block app symbol. Tap this and you won't hear from it again. If you have Android 6.0 or later installed on your phone then the do not disturb settings on your watch will match those on your phone. On the watch you can drag down from the top of the watch face to set a special 'alarms only' mode too. If you've got your smartwatch and your smartphone on you then you don't necessarily want both of them dinging constantly throughout the day, but Android lets you mute sounds on your mobile if an Android Wear device is connected. You need to head to the Android Wear app on your phone, tap the cog icon on the front page, then toggle the switch labelled Silence phone while wearing watch. Notifications will still appear on your phone, they just won't make a noise, which should be less annoying for friends, family and coworkers nearby. If you're worried about someone using your Android Wear smartwatch to open garage doors or hail taxi rides after you take it off, you can have the device automatically lock itself as soon as you unclasp it from your wrist. Open up the device Settings menu and choose Screen lock. You're then asked to draw out a pattern on the display that you'll have to enter in the future to unlock your watch after you've taken it off your wrist. We could all use a little more battery life from our gadgets and the easiest way to get more from your Android smartwatch is to uncheck the Always-on screen option from within the Android Wear app. Your smartwatch will still light up when you move your arm towards your face, and alert you when you have a notification, so you won't be missing out on anything. As on your phone, you can also increase battery life by lowering the brightness on your watch display and making sure it's on as little as possible. There's an Adjust brightness option in the Android Wear Settings app on your watch, which you can find by double-tapping the screen or pressing the physical button on your watch. In a number of messaging apps, including Google's own Messenger and Hangouts, you can reply with emojis if you find text a little old-fashioned. If a text comes in, for example, when you hit the Reply button (keep swiping left to see it) a Draw emoji entry appears with the other options (like voice input). Choose Draw emoji, sketch out the one you want to use, and Android Wear will try to find a match. You can then select it to include in your message. Hidden away on the Settings menu in Android Wear is a Font size menu that you might have skipped past. Tap on it to make all the text on your Android Wear watch screen bigger and easier to read. Other options for those who might struggle to use a smartwatch using the default interface, including text-to-speech and magnification, can be found under Accessibility. Android Wear features two specialised modes: cinema (which deactivates the screen and turns vibrations off) for those trips to the pictures, and sunlight or brightness burst (which boosts the screen brightness) for trying to read the display outdoors. Swipe down on the watch face then swipe to the right to find them. Sunlight mode only lasts a few seconds but cinema mode is more difficult to get out of: tap twice on the screen or press the physical button on the side of your watch (if it has one) to get back to normal. Oh, and if you're in the US, "cinema" is called "theater". The Together app (find it in the app menu on your watch) lets you specify one favourite Google contact with an Android Wear watch, and then send that contact customised emojis, stickers, doodles and status updates. If you think it sounds a lot like the doodle and heartbeat features built into the Apple Watch you'd be right, but it's still a neat idea for that special someone in your life. Everything is handled via a special Together watch face. One of the earlier updates rolled out for Android Wear added support for extra gesture controls along with new audio feedback features for certain devices. Flicking your wrist while wearing an Android Wear watch turns the screen on and flicks and turns can also scroll through notifications or potentially, say, a recipe app if you have your hands full. The newest gestures include moving your wrist up and down in order to take actions on cards: push your arm down to select something, for example, or move your arm up to go back a screen or a card. If you know your way around the standard Android developer tools then you can unlock and customize your Android Wear smartwatch as easily as your phone. From the About screen in Settings tap the Build number seven times to become a 'developer'. You then get access to another menu in Settings — a lot of these are only of interest to actual developers, but you can sideload apps that aren't in the Google Play store and access a lot of previously hidden options. We don't have time to go into them all here, but you can find plenty of information available on the web. How do you get the battery level on the watch face?